When Muddy Waters, "Baby Face" Leroy Foster, and Little Walter Jacobs all walked into a recording studio one day in January 1950, they did more than just make music. They captured a definitive moment in the transformation of post-war Chicago Blues. It all happened thanks to Monroe Passis and his Parkway label, which he got up and running in the Windy City sometime in late 1949 or during the first few days of 1950. He was already running a record distributorship, and like many other entrepreneurial spirits, decided that making records would be a good addition to his business. Muddy, who at the time was under contract to Aristocrat Records (which would become the Chess label in a matter of months), was frustrated that Leonard Chess wouldn't record him with his "working band." Leonard apparently insisted on repeating the "stripped down" hit formula that had worked so well in the past, although a mid 1949 session with pianist Little Johnny Jones and guitarist/drummer Leroy Foster was a notable exception. Even though the results were outstanding, Chess -- for whatever reason -- chose not to repeat them. At least not initially. 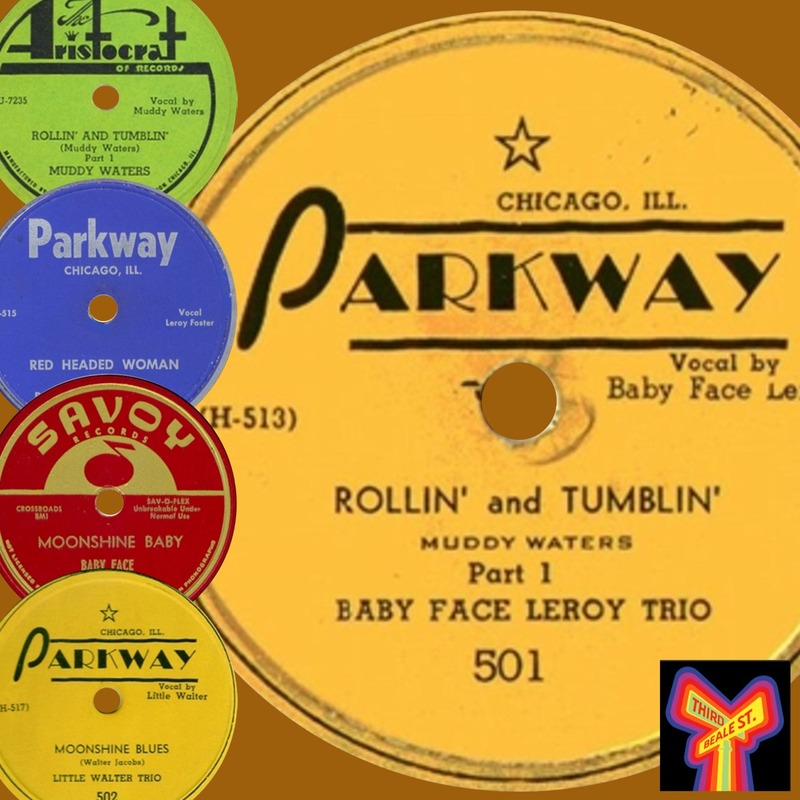 Unfortunately, Muddy's playing for Parkway behind Leroy Foster and Little Walter on "Rollin' and Tumblin,'" a smashing update of an old Delta classic, had proved a bit too enthusiastic, and his presence on the ensuing 78rpm single was easily detected by Leonard. Consequently, Chess rushed Muddy into the studio to cut a remake, and when the record came out on the market, as Leonard had predicted, it killed the Parkway version. Losing the steam of a burgeoning hit record was too much for the tiny company, and Parkway folded a few months later, having sold off their masters to another company. After Parkway, Leonard Chess relinquished his tight studio grip over Muddy, finally allowing Little Walter, and eventually Jimmy Rogers, to accompany him on recording sessions. Leroy Foster moved over to the J.O.B. operation, but it proved to be short lived. His final session, in October 1952, was eerily prophetic. "The Blues Is Killin' Me," one of the titles he recorded that day, would predate his death due to alcoholism some six years later, a few days short of his 34th birthday. After Little Walter had a smash hit with his first single for the Chess brothers, "Juke," he formed his own group, and Jimmy Rogers would come to occupy the "linchpin" position in the Muddy Waters band during the busy, heady days of the 1950s. For a brief period of time, three musicians made musical history, and the Parkway recordings of Leroy Foster, Little Walter Jacobs, and Muddy Waters will always be remembered as one of those definitive moments in the history of Chicago Blues.